Taxes are Filed, What Paperwork Should You Save? Folks hoard receipts and account statements like they’re preparing for an episode of a hoarding television show. They don’t know what to toss and what to keep. The rules have changed, but there are still certain documentation you must maintain. The new rule of thumb is whether or not that paper statement you’re holding in your hands was actually printed from your online filing system. Most credit card companies and banks hold statements in retention for a period of time, but consumers should consider downloading them and keeping those digital copies on a memory stick or some other form of back up. This means there are many of those paper statements and other documentation that you can safely shred. Before you do, however, double and then triple check the availability of that paperwork on a digital media. If you’re audited by the IRS, it all comes down to proving what you report. That includes income, charitable contributions and other deductions. Here’s what you must present and if it’s not backed up somewhere, you need to hold on to those hard copies. Non deductible contributions to your 401(k) or other contributions. This is important because you’ll need to prove you’ve paid taxes already if you’re audited. Home improvements are also questioned at times and holding on to those receipts can only help your cause, especially since it’s likely the only digital copies of the transaction are the credit card or debit card authorizations made on your bank accounts (which usually don’t include details of what was purchased). This is especially important if your improvements were to improve a family member’s health or for energy purposes (think energy efficient appliances, etc.). Anything that might be called into question by your heirs. Estate settlement is always tough and when you’ve not documented properly, your decisions could be questioned and worse, settled in a court of law by those who never even knew you. So how long should you maintain this paperwork? For most purposes, three years if your goal. 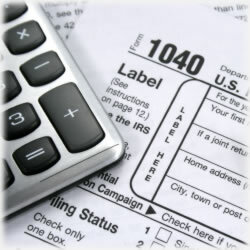 The IRS won’t typically ask you to prove standard deductions after that time period. There are exceptions, though. If you claimed losses from fraudulent or otherwise worthless securities, you could easily be asked to produce proof up to seven years later. Income that you didn’t provide in a year and that totals 25% or more of your gross income could come into question during those seven years, too. Finally, if you filed a fraudulent return or if you didn’t file a return at all, there are absolutely no statutes of limitations. That means the IRS can come in at any time with the goal of righting the wrong. So many of us will lose sleep if we’re uncertain of the legalities behind our taxes. Experts say there is nothing wrong with sticking to the traditional seven year rule. If you do, the documents that you should focus on include your W2s and 1099 forms, bank statements, proof of payment for those expenses you deducted, insurance documentation, including both medical and homeowners, investment statements and mortgage paperwork, especially if you’re refinanced or bought a new home. You can also visit the IRA website. It has very detailed instructions on what it requires in terms of retention. This might be the only way you can rest easy – knowing you’re in line with what the government dictates. Treat this kind of documentation the same way you would other important documents such as marriage and birth certificates, your RESPA documents and other mortgage paperwork and death certificates of family members. Save it safety deposit boxes or provide it to your accountant for safekeeping. A bit of caution is all that separates those prepared from those who are not. Bottom line? An extra dose of caution never hurt anyone. Hold onto those documents as long as you meet the requirements and for any extended period time that makes you comfortable. The difference between those who don’t mind the extra paperwork boxed up and those whose hearts skip a beat when they think of it is actually nothing more than organization. Before you box all those receipts and statements, organize it. Label your boxes and store it in a safe place (if you opt to keep it at home). This way, you can easily destroy that paperwork that you know you’ll never be asked to produce – and you’ll be able to do it with no regrets. Two Offers, Similar Perks – Now What?